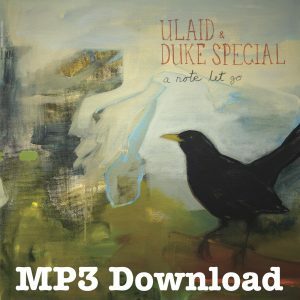 Digital Download of the forthcoming release by Ulaid & Duke Special ‘A Note Let Go’. Hi-Res WAV files encoded in 24 bits and sampled at 96kHz – This represents exactly how the artists, mixing and mastering engineers intend the music to sound before being downgraded for CD’s and even further for mp3’s and streaming. When contemporary songwriting and traditional music meet, the results can be something to be treasured. 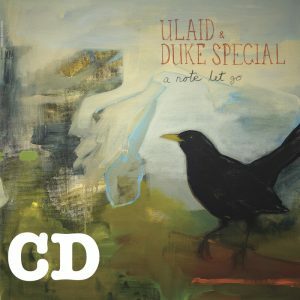 Such is the case with the new release ‘A Note Let Go’, a collaboration between traditional super group Ulaid, and singer-songwriter extraordinaire Duke Special. A Note Let Go is a live album that was recorded over two nights at Analogue Catalogue recording studios in the Mourne Mountains. Initially setting themselves the task of capturing Belfast and its history in music and song, they quickly sharpened focus through the lens of the Francis J. Bigger Collection. Housed in the Belfast Central Library, the collection covers all manner of texts, from property deeds to personal correspondence to translations of ancient poetry. Such an assortment of curiosities proved a fertile source of inspiration for what the collaborators have called “A Note let Go”, an artistic celebration that transcends its Belfast origins to encompass the whole island of Ireland and the world beyond its shores. © 2019 ULAID. All Rights Reserved.